For a limited time, Goway Travel, in conjunction with Northern Territory Tourism, is offering free, one-way domestic flights to or from Australia’s Northern Territory. The deal is available for travel with any new Qantas airfare and land vacation booking to Australia. From the semi-arid desert of the Red Centre to the lush green waterfalls, dramatic wildlife and National Parks of the Top End, Goway says the Northern Territory is a great destination to visit any time of year. There are two ways to take advantage of this offer. Clients can purchase one of three special packages on which they will enjoy a free one-way flight between Brisbane, Melbourne or Sydney to Darwin, Alice Springs or Ayers Rock, for a savings of up to $360 per couple. 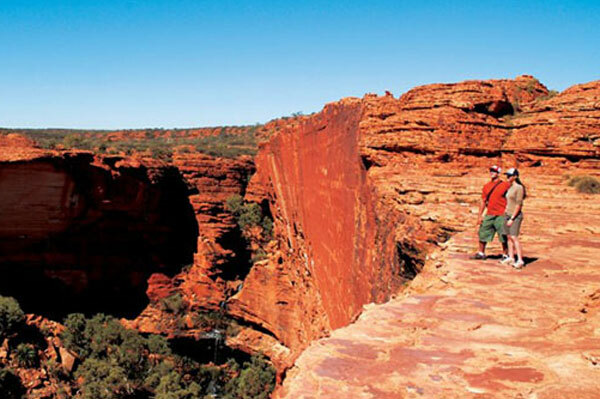 Alternatively, let Goway customize the Northern Territory vacation for you. Simply ask for a custom quote, mentioning the “Fly Free” offer. Bookings must include roundtrip international airfares with Qantas Airways from North America and at least four nights in the Northern Territory. The offer is valid for travel completed by Dec. 31 and must be booked by July 31. Additionally, for agents, any new booking that includes international airfares from North America and at least four nights in the Northern Territory is eligible to receive a $100 gift card. This incentive is valid for bookings made by July 1 and is limited to one incentive per booking.